Global Filter, now part of Filtration Group, was founded in 1999 in Cedar Rapids, IA. Two production facilities in Cedar Rapids, IA now produce and high-quality filter elements and housings for the general industrial and high-purity filtration markets. Our facilities are state-of-the-art; with our high-purity offering being produced in FDA/USP Class clean room environments. We service customers around the globe through our partner distributors conveniently located near you. DOE design features a spring-loaded bottom seat cup which allows for easy installation and positive seal. High purity cartridges in a variety of media grades. Pleated Polypropylene Cartridges are designed for high-efficiency retention (90% to 99.98% efficiency). Designed with up to 6.5 square feet of filtration media, these cartridges are constructed with 100% polypropylene materials and assembled using the latest thermal bonding equipment. Economy Pleated Polyester Melt-blown Cartridges offer a highly efficient and cost-effective filtration option for use in a wide variety of applications. Thermally bonded assembly provides a clean and robust construction. Cartridges are offered in DOE and 222 end configurations as well as in both nominal (90%) and absolute (to 99.98%) retention efficiencies. LiquidClear GF media cellulose-free construction. The pleated design is a proprietary blend of polypropylene/polyester fibers for high-dirt loading compared to conventional stringwound, melt-blown, or resin-bonded filters. Elements also offer high flow rates at low pressure drops and incorporate Plastisol (PVC) end caps / gaskets for a truly positive seal. All cartridges are manufactured with polypropylene outer netting and are available in a variety of micron ratings (0.35 – 50) and lengths (9.75”– 40”). Food and Beverage Grade PES Cartridges have been designed to comply with all FDA requirements for the food industry. The polyethersulfone membrane exhibits low protein-binding characteristics; making it an excellent choice for fermented beverage applications. Each cartridge is flushed with high purity DI water and 100% integrity tested to ensure the delivery of clean effluent as well as low extractables. The 0.2 micron cartridge has been validated with Brevundamonas Diminuta and exhibits a Log 7 reduction (107 organisms/cm2 ) of the bacteria. Additonally, the 0.45 micron cartridge has been validated with Serratia marscecens and also shows a Log 7 reduction (107 organisms/cm2 ) of the bacteria. Water Service Grade PES Cartridges are cost effective alternatives to General and Electronic Grade cartridges for a variety of aqueous based fluids. Water Service cartridges are manufactured from an inherently hydrophilic PES membrane. These cartridges offer excellent flow characteristics, extended service life and broad chemical compatibility. 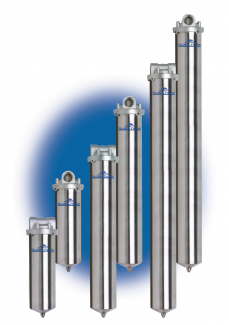 PPES Pharmaceutical Grade filter cartridges are ideal for sterile filtration and clarification of pharmaceutical and biological solutions. Each PPES cartridge is integrity tested during manufacturing and is supported by a validation guide for regulatory compliance. Low protein binding and the broad chemical compatibility characteristics of the polyethersulfone membrane, along with exceptional flow rate vs pressure drop, makes the PPES series the ideal choice for a variety of valuable and/or critical pharmaceutical solutions. PPES cartridges are fully validated as sterilizing grade filters in accordance with HIMA and ASTM F838-05 guidelines. Sterile effluent was achieved with challenge concentration levels in excess of 107 Brevundimonas diminuta organisms per cm2 of filter area. General Grade PTFE Cartridges are designed for multi-purpose use wherever a cost effective PTFE membrane cartridge is required. GGPTFE series cartridges are hydrophobic and resist wetting in critical air/vent applications. The Extended Area option (GGPTFEX) offers up to 40% more surface area. This additional area results in significant increases in flowrate and loading capacity in the same footprint. 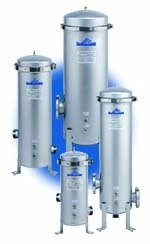 PPTFE Pharmaceutical Grade sterilizing filter cartridges provide optimized filtration performance in sterile air/gas and venting applications. The single layer PTFE membrane, with over double the hydrophobicity of polypropylene or PVDF, is the best choice to prevent water intrusion and resulting microbial growth. Each PPTFE cartridge is integrity tested during manufacturing and is supported by a validation guide for regulatory compliance. PPTFE elements are fully validated as sterilizing grade filters in liquids in accordance with HIMA and ASTM F838-05 guidelines and in gases through full retention of the MS2 phage in an aerosol challenge. G.E.M. Reverse Osmosis Membranes provide the high salt rejection and flow rates typically available from competitive composite membranes while providing superior value. This gives the membrane user an edge by providing reduced reverse osmosis system operating costs. 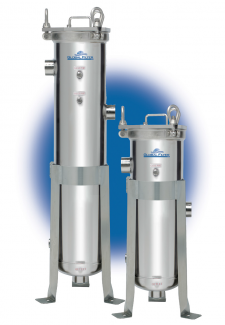 The pre-filtration program offered by Global Filter, in conjunction with the G.E.M. elements, can minimize the need for costly membrane cleanings. These elements are manufactured utilizing an ISO 9001:2000 Certified Quality Management System.